Note: I realize that this is more for myself than anything, something to help me keep track of all the wonderful things I’ve done and visited while studying abroad. 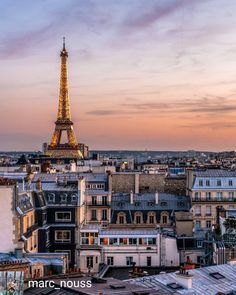 For now, I’m thinking I’ll just post everything I’ve visited in and around Paris first, in alphabetical order, followed by a list of places I’ve visited outside of Paris, which isn’t that many but still worth mentioning of course! Surely I won’t be able to list every single thing I’ve done, but monuments, museums, etc. I’ll keep updating it as I go along, and might not remember everything, but I’ll do my best! Since I don’t eat out a lot, I’ll be able to list the bars and restaurants I’ve been to since I can probably count them on my hands. One last note, I don’t think I should list things that I haven’t done during my time studying abroad but did when I came two years ago, since this blog is really about my time studying abroad. I’ll update this page as we go along so stay tuned! If you have any questions or want any info about a specific place in Paris, feel free to ask! London, Edinburgh, Glasgow, Dublin, Amsterdam, and Belgium coming soon! This entry was posted in Miscellaneous, My Diary, My Point of View. Thanks for sharing your thoughts about articles. similar topic, your website came up, it appears good. through Google, and found that it’s truly informative. I’m gonna watch out for brussels.